Action games tend to make many people excited. Lots of serious action gameplay makes them irresistible for some. But what if you add in a dose of cuteness in such games? Would it still be popular? That is probably what the makers of Super Action Hero Android game app wanted to find out. 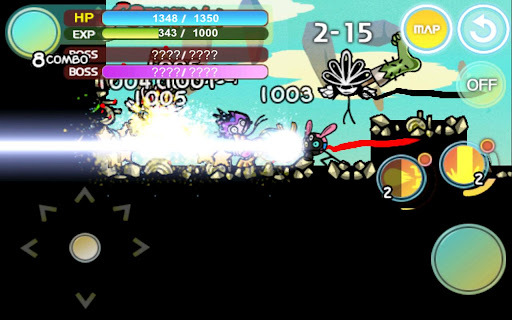 The Super Action Hero Android game app is an exciting action game composed of several action mini-games. But the main attraction seems to be the cartoonish heroes that players control. It is not every day that you see stick figures for an action hero doing battles with enemy stick figures. But it is that element that makes this game unique. There are still exciting battle situations and challenges. There are allies that the hero can depend on to help out in certain situations. There are over 100 missions to accomplish, with the opportunity to become more invincible as the hero accomplishes different levels of the game. And with that, it is something that is worth trying out. The Super Action Hero Android game app is available for free download at Google Play, reason enough to try it out just the same since it won’t cost you any money.